Congratulations to James “NVRDUN” Foster for March 2015 JOTM Winner! This picture was taken a few years back at Barnwell Mountain during one of our LSJC Election Day Runs. This is the ledge at the end of Linda Gail before they back filled it with dirt. It was dug out just enough in the right places to catch the wheel base of our CJ-7 if I tried going up the left side. So I decided to stay as far to the right as I could and let it crawl up the side wall knowing that we were going to get some air on the way up. I was actually looking back at my passenger side rear quarter panel as I was moving forward trying to make sure it did not scrape the wall. 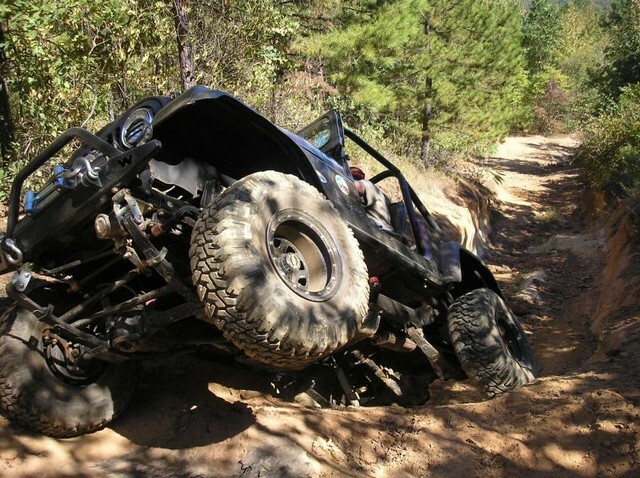 It did and that scar is still on the Jeep today as a reminder of that day and the fun we had wheeling. Thank You to everybody who voted for our CJ. ← February 2015 JOTM Winner!